Often times, people will claim they are Cherokee, but they can never prove it because their ancestors are not on the Dawes Roll. They claim their ancestors hid from the Dawes Commission and refused to be enrolled. Or, they claim their family escaped the Trail of Tears and hid out or passed as white. To some, these stories may seem logical or realistic, but to those knowledgeable in Cherokee history, those stories seem absurd. There is so much documentation on the Cherokee people throughout history, it would be nearly impossible for one not to have been recorded as Cherokee on some document or roll. Recently, my friend, David Cornsilk, responded on a message board to a person (CR) who seems to think the Dawes Roll is the only document containing any information about Cherokee ancestry and also believes (his words, not mine) "those who ... ... followed the Dawes commission around like a dog hoping to get some land have descendants who get to claim to be Cherokee." To this, David responded with, "There were many full bloods, some of my ancestors included, who refused to enroll on the Dawes Roll. They followed Redbird Smith's orders and avoided enrollment; at least until their neighbors testified for them. I think the point that CR is trying to make, which is only partially correct, is that some Cherokees did not get on the Dawes Roll. This we know is factual. However, just because something happened in the past does not mean it happened to his ancestors. There are many tragedies and triumphs of the Cherokee people. The names of our ancestors do not just appear on the Dawes Roll. They appear on the 1896, 1894, 1890, 1880, 1876, 1851 (3 rolls in that year alone), 1835 and 1817 rolls. There are a number of other documents created inbetween that list the names of Cherokees living at those times. There are documents from the early 1800s including missionary records that mention the names of Cherokees whose descendants are among those enrolled in subsequent years. My ancestors are nobody special. Just your average Cherokees. Yet their names appear on EVERY roll and in every document. My blood kin through collateral lineages are listed throughout the Cherokee records. That is how it is for real Cherokees. On the other hand, the fakes, not naming any names, find absolutely no ancestors or kin of any kind among our people no matter what record we look at or how far back in time we go. The bottom line here is proof. And whether CR or anyone else dislikes the Dawes Roll because their ancestors names do not appear there is not important. That Roll, despite whatever flaws it may have is OUR history, our record, the names of OUR ancestors appear there. And the same can be said for every Cherokee record that predates it. Those records belong to us because the Cherokee tribe of Indians belongs to us and none other. Fakes and wannabes claim their ancestors were hiding from the Dawes Commission, then I ask where are the names of your ancestors in any record that would have alerted the Dawes Commission to search for them? They claim their ancestors remained east of the Mississippi after the Trail of Tears. Yet my ancestor Collins McDonald, his in-laws (who were Cherokees), his Cherokee wife and his Cherokee children actually did remain in Georgia. They appear in numerous records, not passing themselves as whites, although they could have. They were living as Cherokees and their names appear in the 1848 and 1851 Rolls of Eastern Cherokees, just the same as all the other Cherokees who remained. Yet the fakers and wannabes have no ancestors on those rolls. Why? Because their ancestors were not Cherokees! Before the Trail of Tears a roll was made that lists 16,000 Cherokees who were destined to be removed. Again, my ancestors names are there, the fakers who claim their ancestors jumped off the Trail of Tears are nowhere to be found. In the early 1800s missionaries came among our people to educate our ancestors and convert them to Christianity. They made copious notes in journals of the children they taught and the families they met. My ancestors are mentioned throughout those journals. My ancestors are listed as students in the mission schools in Georgia in 1820. Are the fakers and wannabes listed? No, their ancestors cannot be found there. Logic does not reign supreme in the mind of the wannabe. They twist our history and torture the names of our ancestors to fit their own family scenarios. They invent parents for Cherokees long since dead who cannot protest this bastardization of their family names. The fakes call out names such as Moytoy the first through the fifth, Great Eagle, Tamedoe, Cornblossom and other blasphemous corruptions of our ancestral heritage to make themselves appear to be Cherokees, and all of this without so much as a shred of evidence to connect themselves to a Cherokee, let alone a Cherokee to the fabricated names they force upon us. If any part of our heritage belongs to the fakers and wannabes it is the heritage of theft that has left the Cherokee Indian landless and poverty stricken. Ethnic Identity Theft is the ultimate form of genocide. The white people and their descendants who invaded and colonized our homeland in the Southeast are no longer happy with just owning the land we once called home. Now they must rise up and steal our name." So my fellow genealogists, the next time you hear someone give a reason as to why they cannot prove they are Cherokee, think about the information David shared with us. 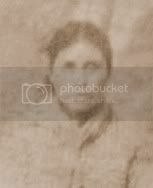 If a person cannot find one iota of evidence to support their family story, then it is highly unlikely they have any Cherokee ancestry at all. It is just that plain and simple. **A very special thank you to David Cornsilk for allowing me to use his writing. I want to say that I really enjoy your articles. This one could prove to be slightly controversial. There are some good points and I agree that the Dawes Roll is not the only source to prove your heritage. However, just because one's ancestor may or may not be on one of the many rolls does not mean that he or she is not Cherokee. The likelihood is great that he or she is not, but not necessarily true. A Cherokee woman marries into a German family during the late 1700s or perhaps even the early 1800s. She moves with her husband's family to Missouri and lives in the St. Louis area. She gives up most of her Cherokee culture and language to live as a "white". Does this make the woman any less Cherokee? Perhaps, but she still has Cherokee blood running through her veins and she is going to pass that blood to her children and grandchildren. The above scenario is not just a fantasy. It happened a lot during the 1700s and early 1800s. Perhaps, she or her offspring would no longer be considered Cherokee by members of her own tribe...but she still has Cherokee blood...and how is it the fault of her descendants if they wish to discover their Cherokee heritage? My point is that just because somebody cannot produce evidence of being on some roll, does not automatically make them a "wannabe" or a "fake". Anyway, these are just my thoughts. I am a Cherokee and can prove my heritage, but I choose not to....because I know who I am and only need to prove it to my Creator. "Blue Wolf", I would urge you to read my blog posts on Standing Witnesses and When the Past Meets the Present. If I remember correctly, your ancestors were never found on any roll of the Cherokee Nation, but applied for citizenship and used the testimony of John R. Gourd. Your family was denied and rightly so. John R. Gourd was a standing witness, which means he sold fraudulent testimony to citizenship applicants for a fee. He fully admitted this under oath and testified about the entire process. ANY application with testimony by John R Gourd is most certainly a fraudulent application. I am looking for the truth. I have ordered a DNA test so that maybe it will tell me whether my family has been lying to me or not. I have always been told I was 1/16th Cherokee, but I have no evidence of that, and I cannot trace my lineage back far enough to find evidence. My ancestor seems to have lived in Arkansas, so it seems less likely. I will be extremely mad if my family made it up - but the DNA test should verify whether or not my ancestor somehow avoided the Dawes. The last thing I want to do is view my ancestry as something I'm not. 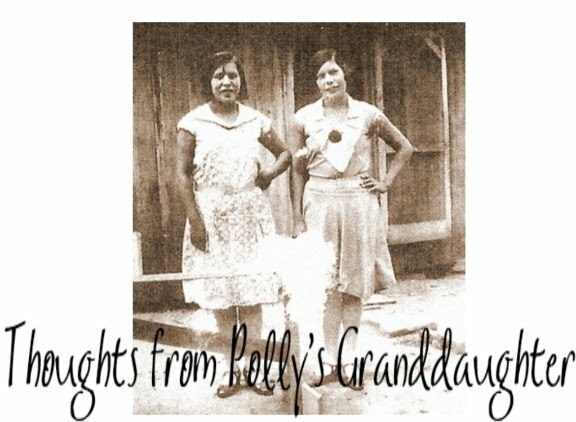 My father met his grandmother, who would have been half Cherokee according to him - so I will see. I cannot figure out who her parents are for certain. All I know is her mother's maiden name was Murphy. Well folks, I have spent the better part of three hours, and this "search of the Dawes Roll" is anything but easy! I have gone page to page, place to place and have come up with very little in the way of positive information? If someone here knows of a better way in which to search this data base, can you please advise me? I have already had a DNA test, and know that I am 18% Native. I want to have my elderly, 83 year old Mother tested next, as we are still uncertain. But have a good idea that her father was at least half Native American. Her Mother was Irish (From Ireland). So we know that only through her father's line, can this be possible. ( My father was second generation German). So it's unlikely that I would have this result in any other way. I have already ordered my Grandfather's WWI military record, and through the Ft. Worth data base, I found a similar person, who may have been his father. Listed as Muskogee, Cherokee. I do not know how to proceed? Please do advise, any and all help is appreciated. V. H.
Vicki, if you would like, you can contact me through the "contact me" link in the right sidebar. I'll try to guide you through the process of research. Nadine, the Dawes Roll was for the citizens of the Five Civilized Tribes; the Cherokee, the Choctaw, the Creek, the Chickasaw and the Seminole. I only research Cherokee genealogy. I'm sorry I can't be more help.